Manage your services without the risk of unexpected downtime with Evolution Host's DDoS Protection technology. A denial of service (DoS) attack is a malicious attempt to make a server or a network resource unavailable to users, usually by temporarily interrupting or suspending the services of a host connected to the Internet. Distributed denial of service (DDoS) attacks are DoS attacks involving many distributed attackers, often from a botnet of infected machines. If your services are left online without DDoS protection, they are vulnerable to unexpected interruption at any time. DDoS attacks are an increasingly common threat that can effect any service. Why take the risk? 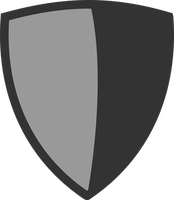 When a DDoS attack takes place, our DDoS protection ensures the continued availability of your services, without any increase in latency (ping) or packet loss. Attacks are detected immediately, resulting in seamless mitigation. With Evolution Host's Anti-DDoS technology, multiple layers of filtering are applied to all inbound traffic (without increasing latencies) before it reaches your services. As the traffic is filtered by several independent devices upstream of the host node, it is possible to drop any malicious traffic without compromising performance in any areas of the network. Combined with our unique system hardening techniques to combat specific layer 7 attacks (e.g. effecting kworker/ksoftirqd, soft interrupts and irqbalance), this results in an unbeatable DDoS protection solution. Whether it's an Evolution Host VPS, your own purpose built web application or a Game Server, we've got you covered. Evolution Host's DDoS protection is an all encompassing solution which is applied to all inbound traffic. Best of all, no configuration is required.